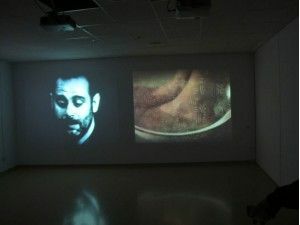 This exhibition explores the relationship between literature and the moving image beyond the cinematographic adaptation of a text. 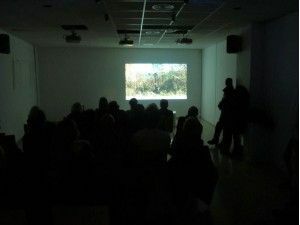 It takes as its starting point three moments from Jordi Lara's novel Una màquina d'espavilar ocells de nit (A machine for waking up night-birds), evoking them through performance actions, afterwards translated into audiovisual language. 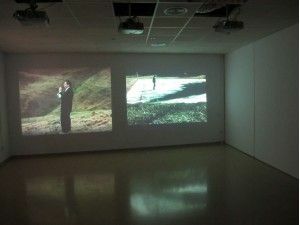 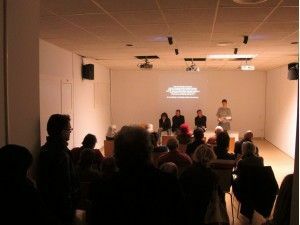 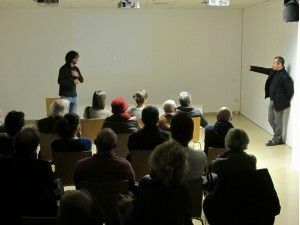 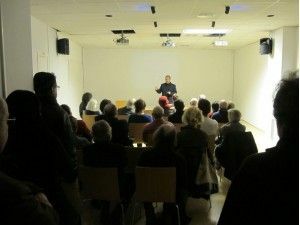 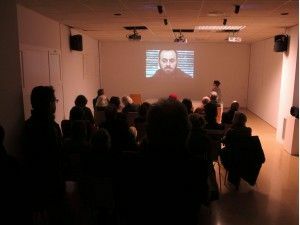 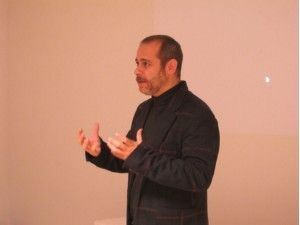 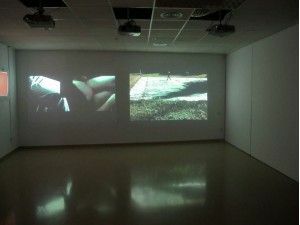 In the exhibition space, with five short films and graphic support, a creative strand may be followed: beginning with a video introducing the novel, continuing with a piece documenting the situations of filming and the interartistic story, ending with the three visual premonitions, belonging to a video-poem. 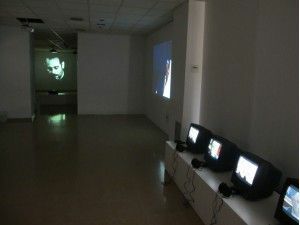 With the collaboration of Meritxell Manyoses, Àngels Agulló and Josep Maria Serracant. 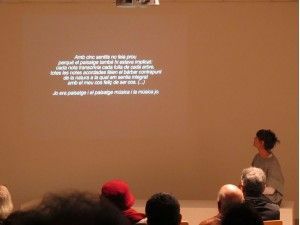 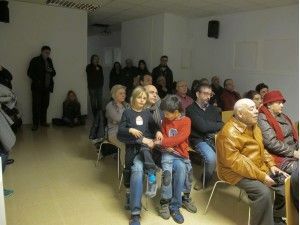 This project has received assistance from the OSIC Oficina de Suport a la Iniciativa Cultural del Departament de Cultura de la Generalitat de Catalunya.